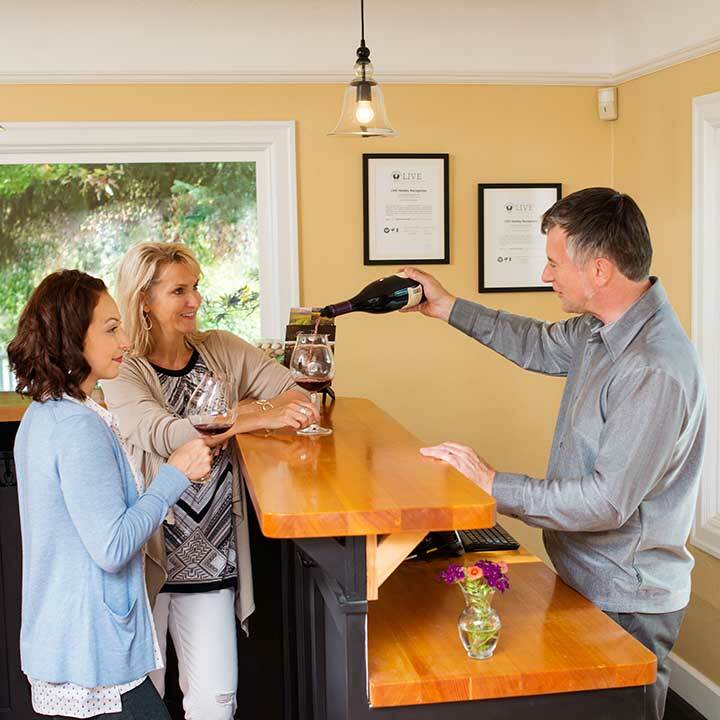 Located just 1.5 miles south of Newberg, Oregon, the historical farmhouse on the Foley Family Estate was carefully renovated and opened as a quaint tasting room that welcomes visitors to the famed Willamette Valley. Guests are encouraged to stroll through the demonstration vineyard and to bring a picnic to enjoy with memorable wines served in this thriving wine country destination. Come to visit the vineyard and try our estate-grown, handcrafted pinots. Open 11 am - 5 pm daily; Closed on New Years Day, Easter, Thanksgiving, Christmas. Early close at 3:00 pm on 4th of July, Christmas Eve, New Year's Eve. 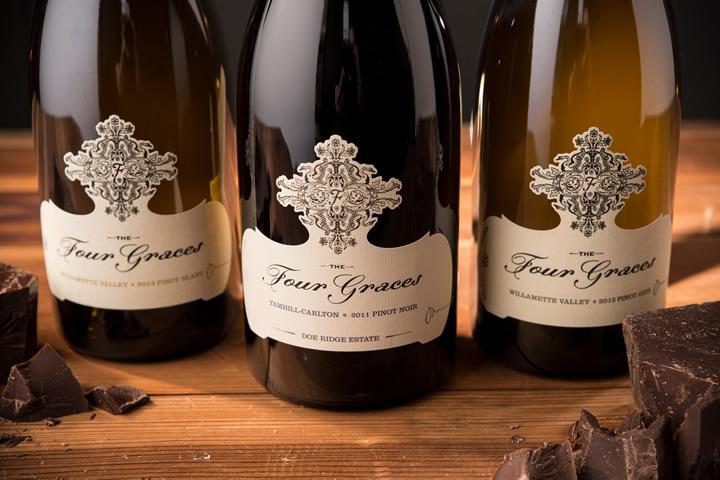 Enjoy four wines from the famed Dundee Hills appellation. Stroll through the demonstration vineyard and view the clones, varieties and Trellising techniques used at The Four Graces. So we can best serve you, please call and set up an appointment for any group of 8 people or more.